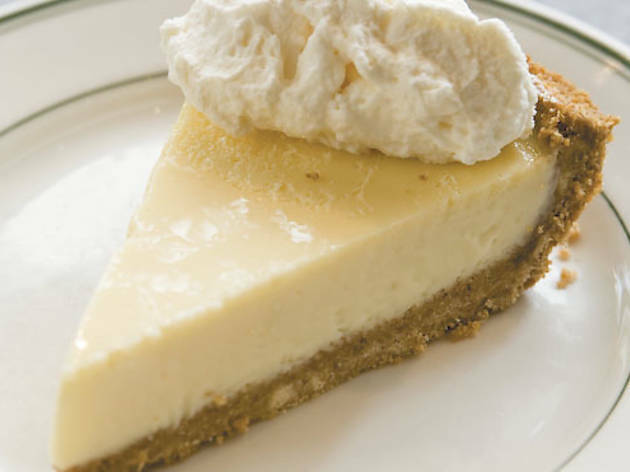 From seafood shacks to pie shops, we’ve got your slice. First Slice Pie Café You might expect to walk into Lillstreet Art Center and be assaulted by paint fumes. But with First Slice Café inside, you’ll instead inhale the aroma of fresh-baked pie (red wine and poached pear, and standbys like apple). First Slice donates part of its profits to help feed the hungry, and uses local ingredients so you won’t feel as if you’re sacrificing anything. In fact, we’d return for the chicken-and-blue-cheese sandwich no matter who was benefiting from our tab. In the Lillstreet Art Center, 4401 N Ravenswood Ave (773-506-7380, firstslice.org). El: Brown to Montrose. Bus: 50, 78, 145. Brunch (Sun), lunch, dinner. Average main course: $6. Fish Bar There are some “quirky” touches to David Morton and Michael Kornick’s fish shack (witness the overblown photo of surfers on the wall, the cocktail named Negroni Baloney). But the menu is nothing if not straightforward. The fried items all have great flavor (like the fried onions with lemon and jalapeño), but sometimes they arrive soft instead of crisp. Likewise, the sweet and herby lobster roll can get a little chewy in parts. But the cheap beers, slice of pie and the items from the plancha (grill)? Simple, perfect and seriously good. 2956 N Sheffield Ave (773-687-8177, fishbarchicago.com). El: Brown, Purple (rush hrs) to Wellington; Red to Belmont. Bus: 8, 22, 77. Lunch, dinner (closed Mon). Average main course: $7. Hoosier Mama Pie Company Former fine-dining pastry chef Paula Haney made a name for her pies at farmers’ markets and coffee shops. Now she sells seasonal creations (from strawberry-rhubarb in spring to apple and pumpkin in fall) and signatures (like her incomparable banana-cream), along with Metropolis coffee, at her tiny, retro pie shop. The pies are, in a word, extraordinary. But while pie is Haney’s thing, don’t ignore the scones, either. 1618½ W Chicago Ave (312-243-4846, hoosiermamapie.com). El: Blue to Division. Bus: 9, 66. Tue–Thu 8am–7pm; Fri 8am–9pm; Sat 9am–5pm; Sun 10am–4pm. 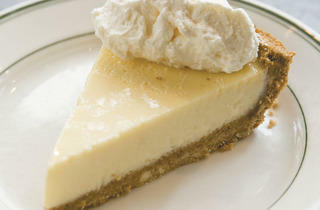 Average slice of pie: $4. Joe’s Seafood, Prime Steak and Stone Crab You should feel like a king when you’re paying through the nose for a steakhouse experience, and you will here. Start with the sweet, cool stone crabs, the sugar prawns (Madagascar shrimp) and a delicious chopped salad that could easily feed two. Go straight to the top with the bone-in New York strip, perfect when ordered charred medium-rare, or the Alaskan king crab legs served chilled. Fried green tomatoes are unforgettable, and key lime pie is puckeringly sweet for those who like a hit-you-over-the-head finish. 60 E Grand Ave (312-379-5637, joes.net). El: Red to Grand. Bus: 29, 36, 65. Brunch (Sat, Sun), lunch, dinner. Average main course: $30. The Silver Palm If you’ve been in a train’s dining car recently, you know the menu ranges from Doritos to Ruffles and most of the clientele is passed out with cans of Bud Light at their feet. Thankfully, this dining car is nothing like that. The menu includes gems like light, crispy calamari and a club sandwich with sliced duck breast and prosciutto. Skip the jumbo shrimp and be aware that service can be slow, but the sweet, caramelly apple pie is a must. Perfectly made classic cocktails come from the attached bar Matchbox. 768 N Milwaukee Ave (312-666-9322). El: Blue to Chicago. Bus: 56, 66. Dinner (closed Mon). Average main course: $15. West Town Tavern We wish every neighborhood had a cozy spot like this—unfussy food, fun wines, and jeans and suits mingling sans attitude. Chef-owner Susan Goss and her husband, Drew, not only are pillars in the local food community, but they also keep us coming back weekly for different nightly specials, like the killer buttermilk biscuit–and–fried chicken platter, made with Goss’s great-grandma’s recipe. Other nights, the staple menu—antipasto plate, skillet-roasted mussels and bourbon pecan pie—is supplemented by seasonal specials. 1329 W Chicago Ave (312-666-6175, westtowntavern.com). El: Blue to Chicago. Bus: 9, 56, 66. Dinner (closed Sun). Average main course: $20.